Project RIAS is a third person puzzler. ​The player controls Doctor Peters, a scientist testing the effects of an alien virus. Using modified versions of this virus, she can enhance her strength, speed, or ability to jump. As an accident causes her to be locked in the testing rooms, she utilizes and switches between the modifications to get from room to room, hoping to at one point be able to get out to freedom. I functioned as art lead this block, which was quite a challenge as this was my first game project at the NHTV, and my first time working in such a team. It was very interesting managing the art department, but as my knowledge of the software we used was no more than the other artists, with some of them knowing a lot more due to prior studies - I was unable to provide much technical help. The individual skill of the artists really carried the art forward, and although I hope I contributed something to their work, the credit for the final look of the game really goes to them. Throughout the project I started leaning more towards design. I didn't write out the actual mechanics, but actively brainstormed along with the other designers, and helped out with forming the vision of the game. One of the main reasons I was so involved in doing concept design is because I wanted certain functionality to make my levels work, which actually worked out quite well. 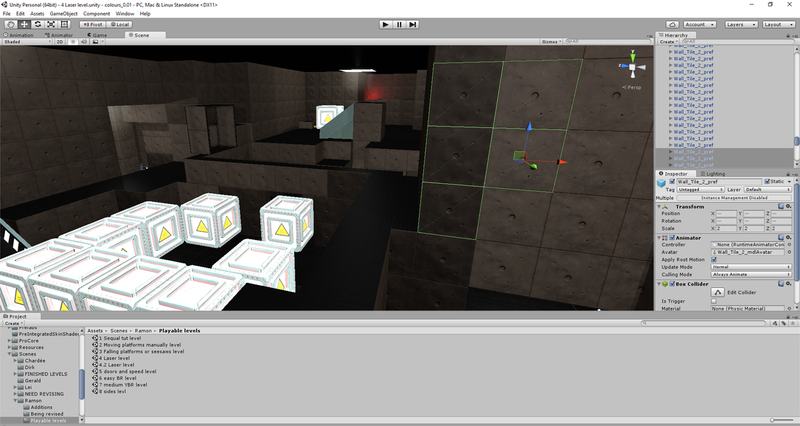 The main thing I added to the project was really the levels I created. I created a lot of them, and only a few of them ended up in the game due to some being too big (and therefore running at low frame rates) and my limited understanding of introducing mechanics at the time. Each level I created combined the mechanics in an interesting way, but because the individual mechanics or uses sometimes lacked introduction, they were often a bit too difficult to understand. 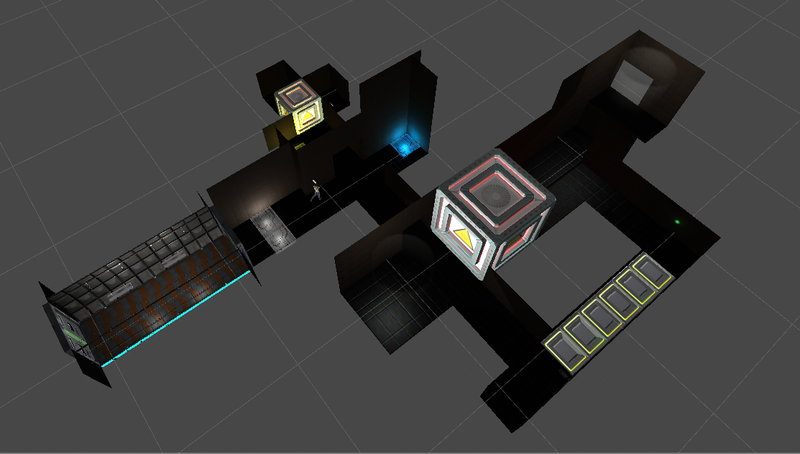 After drawing out levels digitally, we made them using modular assets in the engine. This pipeline was really nice as it allowed us to do a big part of the art pass by ourselves, although it was very un-optimized, resulting in performance issues with bigger levels. Numerous drawings I made of levels for project RIAS. Not all were used, but most had some element that I put in the game.